VCDL has been working for over a week with Senator Carrico, Delegate Lingamfelter and his aide, Andrew Clark, the NRA, and the Virginia State Police to fix some issues with SB 608, Carrico's lifetime CHP bill. Stuart Higley, Carrico's aide, was exceptionally helpful in that endeavor - he was in the middle, coordinating with all the interested parties. The changes that we managed to get into the bill switched VCDL's position from "oppose" to "support." Some important remaining issues kept our position from being "strongly support," however. The bill was debated this morning in the Militia, Police, and Public Safety full committee. In the end, it was decided by the committee that the bill still needed more work and it was carried over until next year. VCDL is fine with that decision, as it gives us a year to get all the kinks out of the bill the first time. We actually have several different avenues we could use to create lifetime permits, and we will be exploring all of them. As an aside, Delegate Gilbert and Delegate Lingamfelter let the State Police know that they were not happy with positions the State Police have taken in the past against improving various aspects of Virginia's concealed handgun permit system. Lingamfelter encouraged the State Police to work with Delegate Gilbert to pass a bill in the future to recognize all out-of-state permits. A bill that did so (HB 705) was introduced by Gilbert this year, but the State Police spoke against it in the Senate just before it was killed. Delegate Carr's "celebratory gunfire" bill, HB 810, is in conference committee - as I predicted earlier this week, the House wants its version (a malicious wounding bill) and the Senate wants its version (a celebratory gunfire bill). There is no real place for a compromise, so I expect the conference committee will simply kill the bill. If Senator Marsh's version of the "celebratory gunfire" bill, SB 65, gets out of the House Appropriations committee (a big "if"), I would expect it to suffer the same fate has HB 810. With the exception of the veto session in April, the General Assembly will be through with this year's business next Saturday. We will then wait for the Governor to sign, not sign, or veto the bills that passed out of both the Senate and House. He has until the veto session to do so. Item #20 in the last update ("20. Looming scandal will be the #1 isse of 2016 Presidential Elections [VIDEO]") is actually an "infomercial" that was included in the update by mistake. I'm trying to figure out how that item got into the update. I'm betting SPAM somehow got sent to the email address that I use to communicate with the editor, causing the confusion. I apologize, I've never had anything like that happen before. Just ignore the infomercial in item #20. I write to you today with my unequivocal endorsements of Ken Longo and Frank Wagner. My reasons for coming to this conclusion are similar for both candidates. First, I believe Ken Longo has done an excellent job as head of the Virginia Beach Republican Party and strongly support his continued leadership. He is open, accessible, and accommodates the diverse ideas that exist within our party. Second, I believe Frank Wagner's history of leadership and adherence to conservative principles speaks for itself. Additionally, he is best suited to get the Second District back on track, restore its reputation, and support our candidates. As Republicans we must recognize the fact that we have members with diverse views in terms of political positions inside of our party. We are closer than we are apart; we need to be a team, a family. To achieve a big tent, there must be room for everyone, despite the fact that we may internally disagree on issues important to us. Longo and Wagner are best suited to allow this to happen. Our party should not be held hostage to extremism on the left or right, that refuses to acknowledge the diversity we possess; the desire for absolute purity by a small group on either spectrum will significantly reduce our wins and, in turn, our effectiveness to advance the issues important to all of us. Importantly, Longo and Wagner support primaries over conventions to nominate Republicans for public office, as opposed to their opponents. One must only look at the debacle in the special election for the House of Delegates to see how conventions inherently alienate fellow Republicans. Last month's mass meeting (convention) held on the Eastern Shore presented an excellent example of what we should not be doing as a party. Approximately 200 Republicans, who were patiently waiting to select their desired nominee, were turned away from the convention, due to the fire code, and could not participate. Had there been a primary or firehouse primary, all would have been able to participate to select the Republican nominee of their choice. If that isn't enough to convince you that conventions are part of a history where party bosses, rather than voters, have selected nominees, just look to the upcoming Republican state convention in Roanoke, where we will nominate a U.S. Senate candidate. It will be another convention where those same alienated Republicans, turned away from the Accomack Mass Meeting, will have to spend hundreds of dollars and drive 6 hours each way to attend, likely having to incur the cost of overnight accommodations as well. We will select a candidate who will have a guaranteed place on the ballot, and who, if elected, has the potential to vote to send soldiers to war. Those very soldiers who would fight the war will have zero representation in his or her nomination, because active-duty military cannot participate in political-party meetings, but they can vote in party primaries. This situation is unacceptable to me as a veteran. Frank Wagner and Ken Longo understand the importance of our decisions about nominating candidates for public office. Their opponents clearly do not. It is not enough to simply read this email. I urge all of you to attend the March 10 Mass Meeting at Cox High School to re-elect Ken Longo as chairman of the Republican Party of Va. Beach. Please be there by 6:45. I also urge you to contact us if you want to be a Delegate to the 2nd District convention to make sure Frank Wagner becomes the next 2nd District Chairman for the future of our party. We need them by noon on March 3. Attention 7th district friends (You are in the 7th District if Eric Cantor is your Congressman). Saturday March 1, 2014 at 6:00PM is the deadline to file for delegate to the upcoming convention in the 7th district. Education Point #1: So effectively today is the last day you could fill out a form and mail it to have voice and vote in who your next Congressman's party boss is. This is intentional to keep you out of the process. 1. Print this form out. Alternatively, the Richmond Tea Party is hosting a meeting near CJW Hospital tonight at Greatspace. You could stop by for 5 minutes from 7PM to 8:30PM tonight to get a form and fill it out then leave. They will have everything you need. We need to get this done. If it is Friday or Saturday and you have not filed, call me at 380-6659 and we will find a way to get your form to the right spot. Alternatively please message me at rock@1791.com so we can make it happen. Thank you. I would hate for this to be another year on the political sidelines. Make it happen today for Liberty. Connolly & Warner gave Obama a blank check. Are you sick and tired of Northern Virginia Democrats taking so much enjoyment from knocking our soft teeth down our whining throats? Your representatives - Democrat Senator Mark Warner and Democrat Congressman Gerry Connolly - voted with Barack Obama, Harry Reid, and Nancy Pelosi. Are they on your side? Our country is in peril. We must win the U.S. Senate to be able to stand up to the lawlessness of the Obama administration. With your support I will win enough votes in Northern Virginia's 11th Congressional district to allow us to win the U.S. Senate. I have a strategy to win those votes. Please consider a contribution today of $10, $25, $50 or whatever you can afford today to get this strategy implemented. Northern Virginia needs a different kind of politician. The Washington Post neutered George Allen with a meaningless word printed countless times when Barney Frank and Christopher Dodd were throwing gasoline on the housing crisis bonfire. As a CPA for 33 years I have the relevant expertise to help our party formulate policies. Just look to my plan - Strategic Tax Reform Incentivizing Valuable Employment (S.T.R.I.V.E) that will grow the economy and create tens of millions of new jobs. I need a little help now from you to win the nomination for Virginia's 11th district so please make the small sacrifice today of $10, $25, $50, $100 or whatever you can afford. Terry McAuliffe spent $15 million to tie Bob McDonnell's gifted Rolex watch around Ken Cuccinelli's neck. As a CPA I have learned the lesson that any appearance of conflict of interest lessens trust. We need to regain the trust of the American people so that we can save America as Reagan did with his tax reforms but we can only do it with your contribution of $15, $25, $35, or even $50 today. P.S. Please rush your contribution today by donating online at www.GeddesforCongress.com or by mailing a check made made out to Geddes for Congress to Geddes for Congress, c/o DB Capitol Strategies PLLC, 717 King Street, Suite 300, Alexandria, VA 22314. 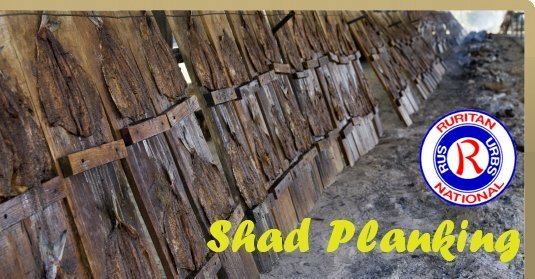 66th Annual Shad Planking Tickets - Now On Sale! the 66th Annual "Spring Rite of Virginia Politics"! Tickets to the 2014 Shad Planking are now available for purchase through our website and by mail! Continuing in 2014, all online orders will be immediately available for printing as an e-Ticket. No more waiting for the mail to arrive! Simply order, print and present at the gate. Order your tickets early as this year is certain to be another great event. RTP Meeting February 27th, and more! Session Update and Our Legislative Survey! Climate Deniers and Developers, Oh My!